The node of a tournament tree "Notes" is intended for placing in competition of any files. As a rule it is the directories used in algorithm of tournament (in competition modules) in a format ".xml" or ".txt". 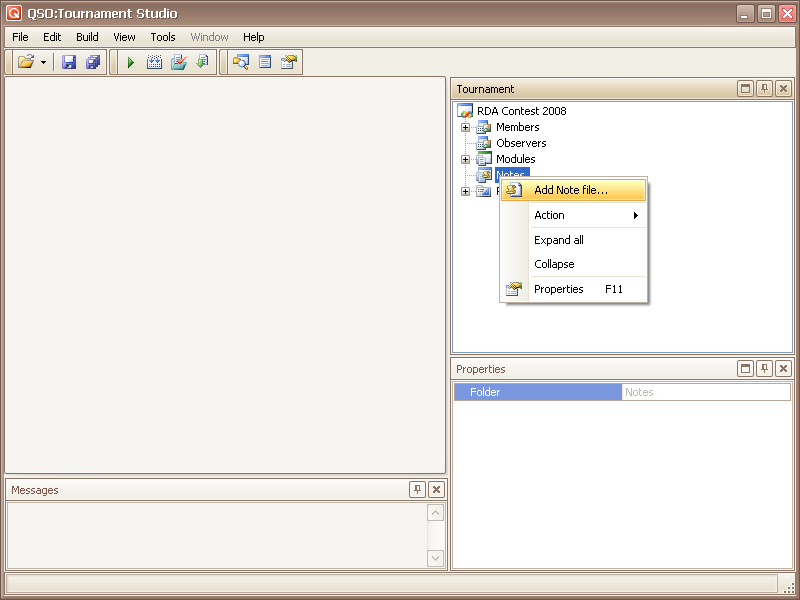 Files of notes are accessible from the module of competition and can be used as external directories. These files are accessible to editing. Click the right button of the mouse on node "Notes" of a tournament tree. 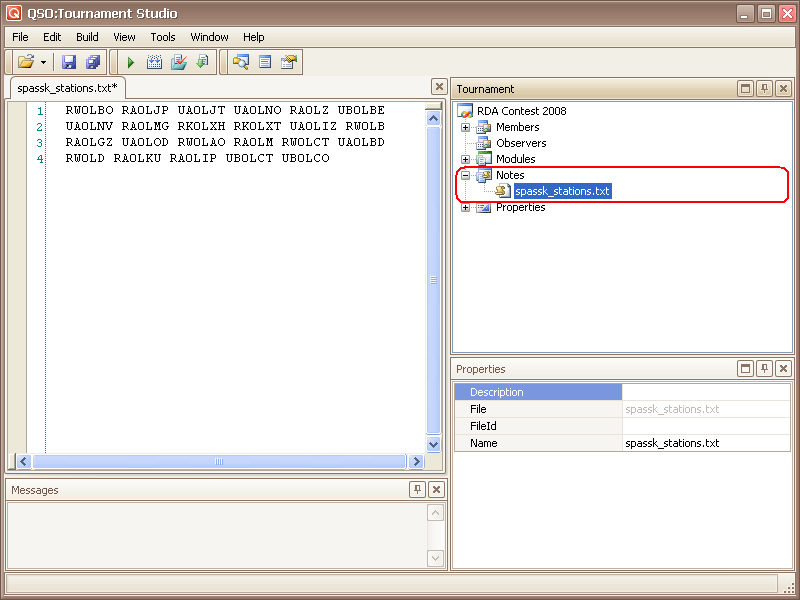 There will be a context menu in which it is necessary to choose "Add Note file...". 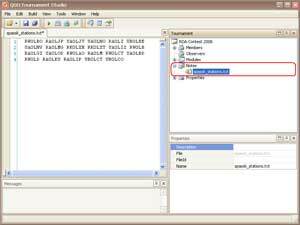 Dialogue of addition of a new file of a note will open. The quantity of added files of notes is not limited, names of different files of notes in one competition should not coincide. Operation drag&drop files from Windows Explorer is supported. Click the right button of the mouse on a note which should be removed. There will be a context menu in which it is necessary to choose "Delete".